[Updated] Following its closure due to Hurricane Gonzalo, the airport is set to re-open at 5:00 pm this afternoon [Oct 19], with flights scheduled to come in from Toronto, Philadelphia, Miami, New York and London, UK. 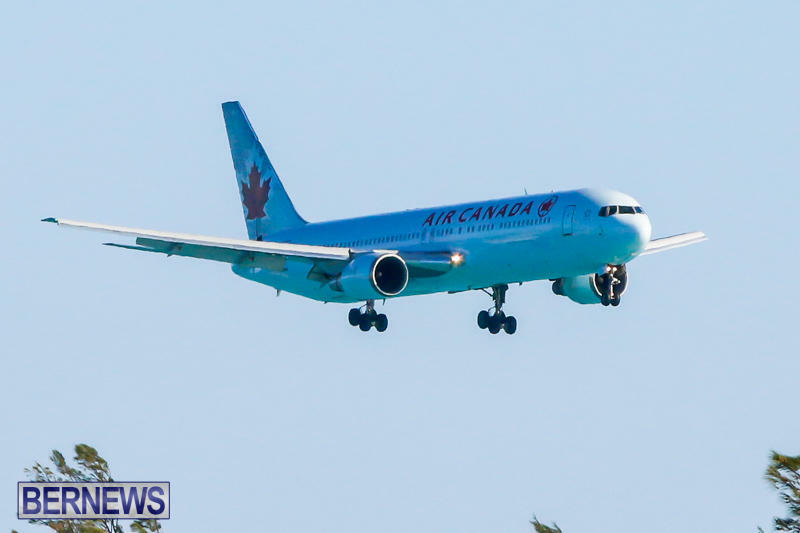 “Air Canada’s flight from Toronto will arrive in Bermuda at 5:05 pm and depart at 6:20pm and US Airways’ flight out of Philadelphia will now arrive at 5:25 pm and depart at 7:00 pm. “The British Airways flight from London Gatwick is scheduled to arrive on time at 6:15 pm; however, the return flight to London will now depart tomorrow morning, Monday October 20th at 9:00 am. As such, the airline requests that all passengers who were booked for tonight’s BA flight 2232 to Gatwick should now plan to check in Monday morning between 6:00 am and 8:00 am. “The American Airlines flights from Miami and New York’s JFK, along with Delta’s service from JFK will all arrive as scheduled this evening and depart Monday morning as per normal. For all our coverage of Hurricane Gonzalo click here, and for our live blog where we are bringing you continuous live coverage of Hurricane Gonzalo click here. Nice to see a 767 visit. During the last few years all the airlines have downsided the aircrafts they fly to Bermuda. And who said the buses are not running,looks like my bus just landed.